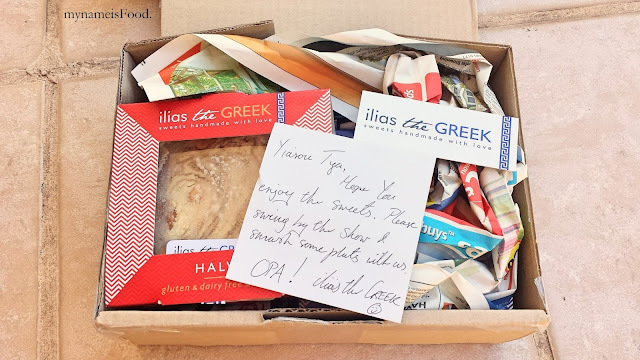 ilias the Greek review - my name is Food. Ilias the Greek contacted me recently and sent me with a sample of their products to try. I tend to feel that Greek sweets may be a bit too sweet for my liking but anyway, what was included in the samples were a bar of nougat, two slices of Baklava and a portion of Halva. 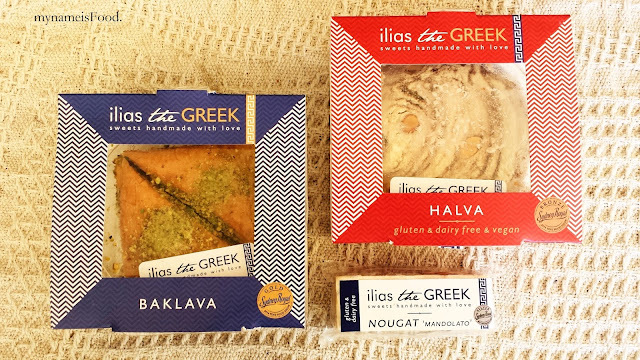 For those not familiar with these Greek sweets, don't worry, I'll provide a brief explanation of each down below. 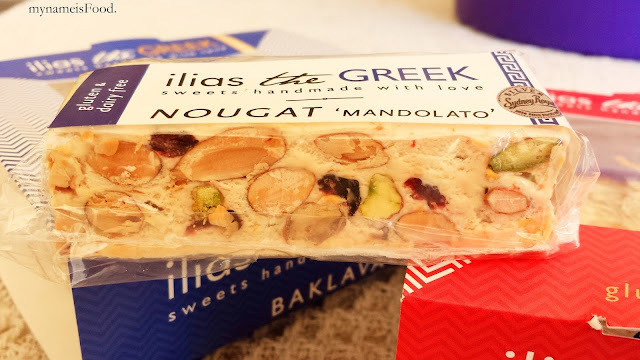 'Nougat' - Zakynthos style nougat with almonds, pistachios and cranberries. 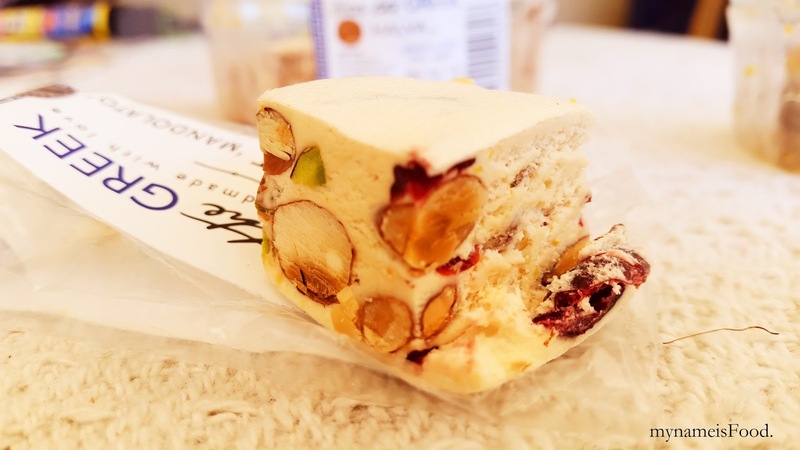 I'm not a big fan of nougat since they do tend to get really hard when you try to bite into it, hurting my teeth in the end. However, this one was quite chewy and soft, not as hard as the usual nougat which was nice. As you can see, a generous amount of almonds, pistachios and cranberries are packed into these little bars making it exciting when biting through it. It was quite delicious after about two bites or so then it got a bit too sweet for me. 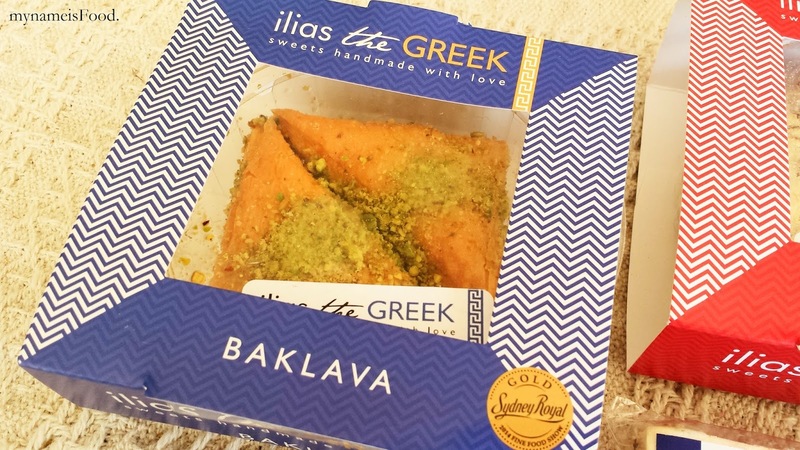 I know I shouldn't be saying this but usually with Baklava, the first thing that comes into my head is the amount of oil and sugar in it, which makes me cringe. 'Baklava' - Traditional Style Baklava with walnuts and pistachios. Baklava is a rich sweet pastry dish made from layers of filo pastry filled with chopped nuts and are sweetened together with syrup or honey. 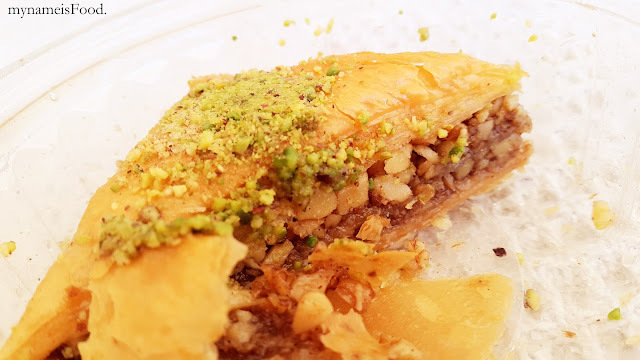 The outer layer, the layers of filo pastry was crispy and flaky, the chopped nuts and topped with pistachios made it likeable more and more, however, the syrup was too much for me as again, too sweet. However, overall, it was delicious, just too sweet. I actually have never tasted Halva before so it was quite interesting to see its texture and also its taste. 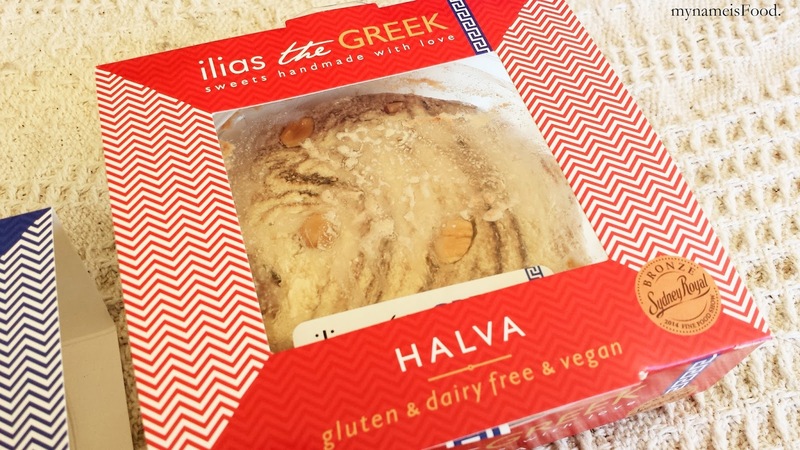 'Halva' - Handmade tahini halva cake with dark chocolate and almonds. 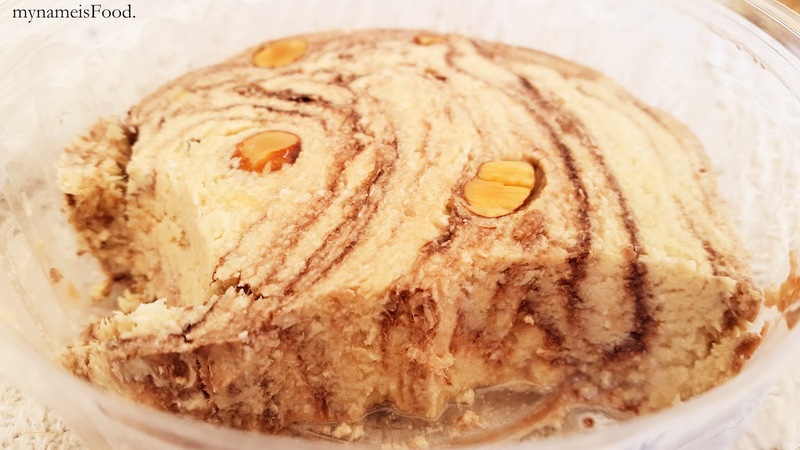 Halva can come in various versions in which most popular to be either through their Flour based or Nut based. As for this one, it is a Tahini based which is sesame seeds being crushed to be made into a basis of the cake. A very delicate, densed cake with a very strong sesame smell and taste. It is quite rich and you can see the drippings of oil at the bottom of the bowl, it was rather sweet too. *mynameisFood. was given a sample to try and review by ilias the Greek.